Obscured in the murky waters of Google’s Russian-English translation, the lack of information about both the artist and Rainy Treehouse, the label, sets us off on uncertain ground. It’s a novelty in the Internet era to be left with no basis on which to view an album, but especially in the case of Seize The Smoke it’s refreshing; possibly because it’s a difficult album to stomach in the first place. Not content with mixing three of the smoothest genres known to man - jazz, hip-hop and downtempo - Clonki polishes any sharp edge from his melodies completely. Notes don’t change: they shift; and as such the tracks develop into this loose, wave-like saunter. Not too unlike an old radio scrambling to tune-in as the notes lazily reach their right tones. 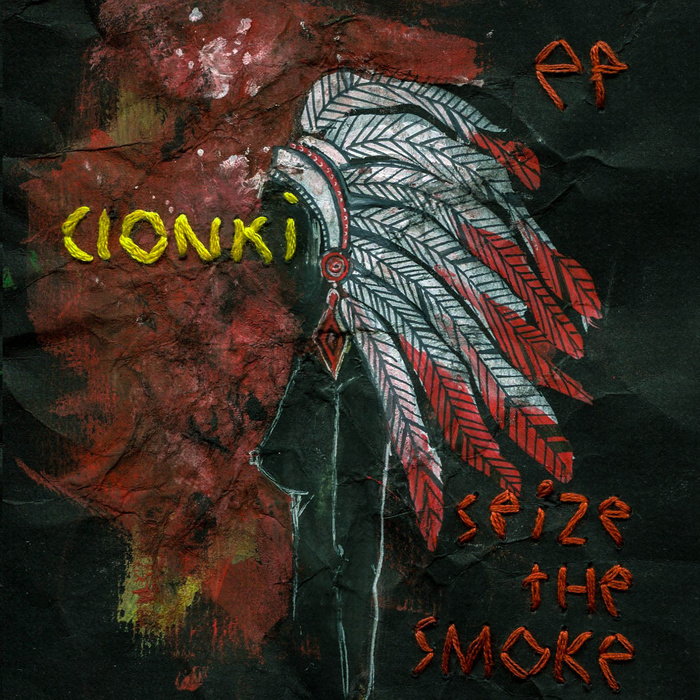 Mixed in with the classic sample-based jitteriness, it’s an interesting endeavour - indeed it’s one that almost defies explanation - but to the extent that Clonki chooses to pursue it in Seize The Smoke, it’s a small, highly enjoyable step into the great unknown. There’s a limit to this, however, as the rest of the album sees Clonki experiment with common hip-hop archetypes in what amounts to more of a plethora of attempted styles as opposed to one cohesive album. Clonki moves on to play around with a very upbeat, positively The Avalanches-esc vibe in “Ragpicker” and “My Baby:" juxtaposing this with dark, grimy low-end frequencies in an almost sinister attempt at corruption. It’s not entirely successful however, leading to the weakest parts in what is otherwise a surprisingly solid release; especially from an unknown artist so keen on standing out from the crowd. Saving grace can be found in the fact that these tracks are still rather interesting, though not nearly enough to merit much beyond the first listen. Elsewhere, we see Clonki relaxing into an increasingly comfortable pace with a strong downtempo sound. “Blueswag” is an exercise in maturity as he picks his past experiments in style, boxes them in more tightly and ships them with a more mellow, complementary vibe. The shifts are still present, but their use is scaled back hugely to the point in which they’re only evident in the backing vocal hum and sporadically at most in the foreground piano. Throughout the final three tracks the energy seeps away further, to the point at which the finale, “Corpse,” seems stripped away completely; hitting that relaxing-but-still-progressive tempo with not much more than drums, bass and a light sprinkling of samples. It’s in these moments where Clonki is most promising, as I think it’s fair to say that up until these final few tracks he was still attempting to find his feet. In most cases this would lead to claims of ‘unfinished’ or ‘rushed,' but with little in the way of background information on the artist it’s nice that the album provides its own context. Seize the Smoke is not a perfect release. Nor is it very close to that. But for what it’s worth the album does manage to distinguish itself in what’s an increasingly experimental market. Now that he has this niche, it will be interesting to see how Clonki develops his style and hopefully we can look forward to a new release in the near future.